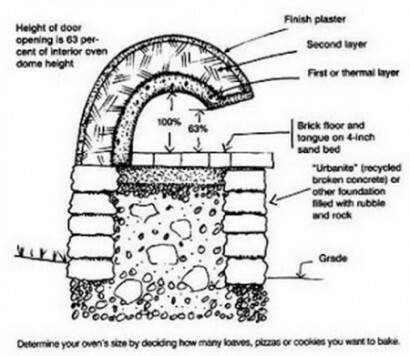 This article isn’t really about how to build a pizza oven, although you will find links to documents with complete instructions. 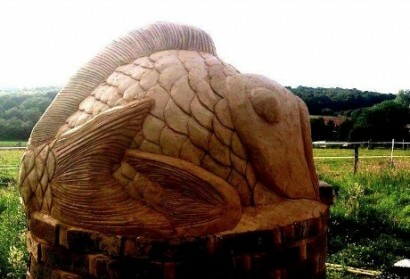 There are many articles about building with cob and many places to find everything you need to know about using cob – which is one of the easiest building materials you may ever work with. 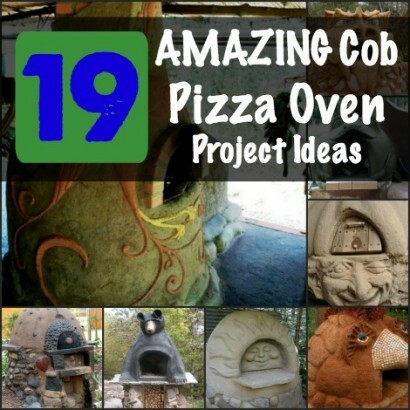 Cob pizza ovens are a great introductory project to get familiar with building with cob. 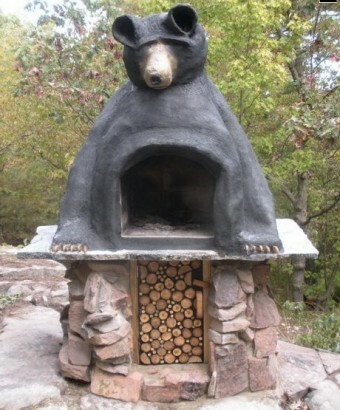 The ovens can be used to cook all kinds of foods like baking bread, casseroles, and more, in addition to baking pizza. So, in the event of a loss of electricity, they are a great substitute for an oven because they heat up quickly and burn only a little wood (comparatively speaking). 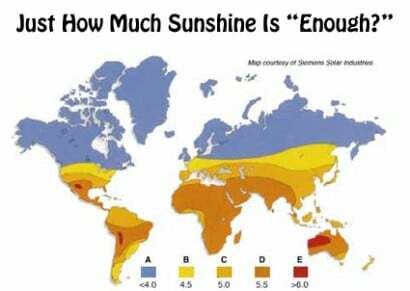 And – they can be used in almost any kind of weather. 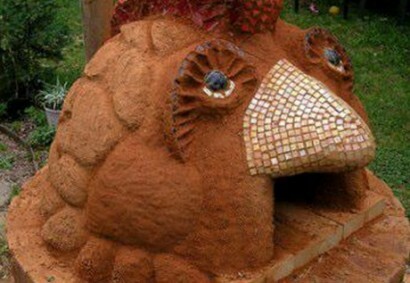 Here’s also a link to how to make and work with cob. You’ll notice the photos below feature ovens that get progressively fancier – and more time consuming to build. 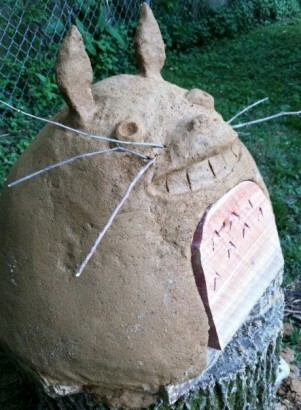 If you have an artistic streak, this might be a great project and medium for you. 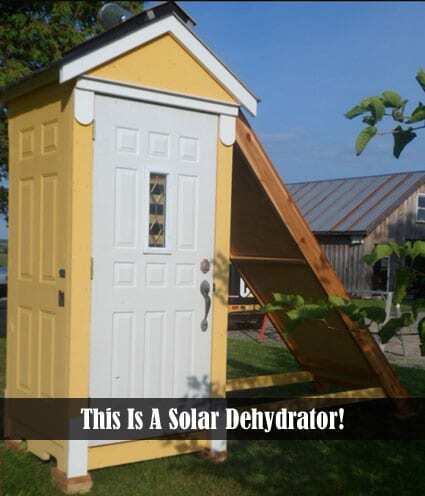 You could build something as simple the one below. 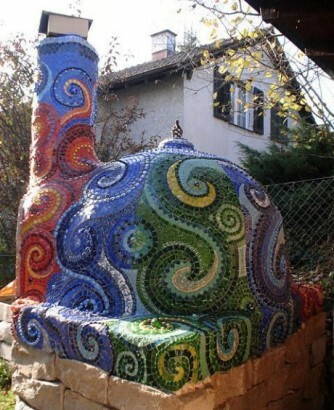 It’s just a standard pizza oven, but the builder has added mosaic on the outside to dress it up a bit. The mosaics would also help protect it from the weather with a proper seal. Usually I consider myself a pretty creative person. 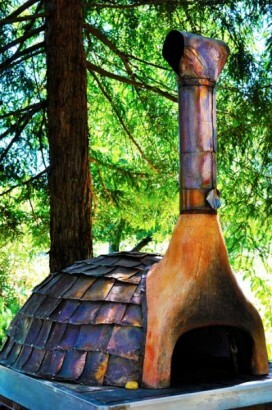 However, after seeing some of these, I realize we need to ramp it up a quite few notches if we’re going to have a unique, long lasting, and beautiful pizza oven. If you want to make a pizza oven that’s not just the usual, is good looking, and still not a bunch of extra work, you might want to try one like this one. The builder added metal shingles and a matching metal vent flue that have both gotten a great look – I think it’s steel with a hot oil finish. 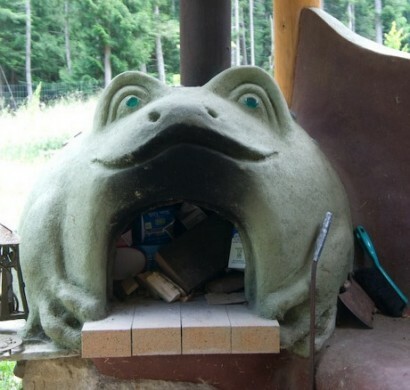 That being said, if your cob oven gets hot enough on the outside to heat the outside, it’s not insulated properly and should have been built with much thicker walls. There’s always a strong possibility the builder put a finish on the metal, then put it on the oven. 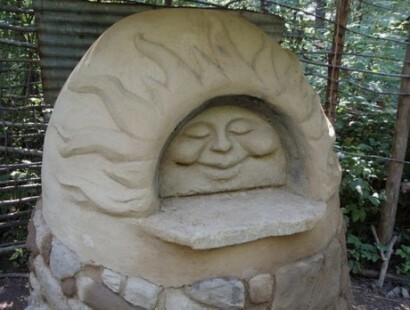 It’s also possible to make a quite nice looking pizza oven by just adding some stone, brick, and a bit of metal. This one also has some storage below for enough wood for a couple of fires. This one looks like a lady bug. You could always find a mosaic design on line if you can’t think of one yourself. Just know that mosaic can be a lot of work. 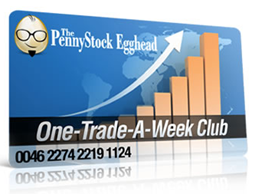 It’s not hard, but it can be very time consuming. 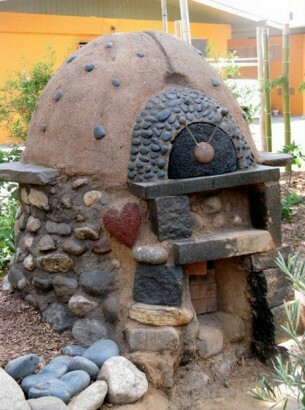 Here is an example of how you could build a basic pizza oven and add something like one of these designs with very little extra work. 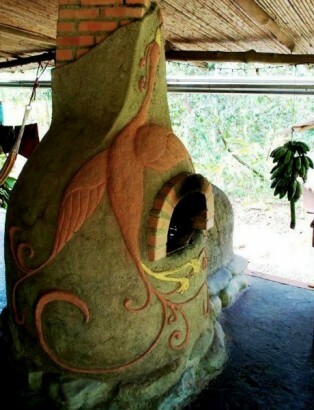 It also doesn’t take a great deal of artistic talent to make your pizza oven your own. This is one of my favorites. I like the design and amount of detail and I think the design would go great on my property because it has kind of an Asian flare to it. 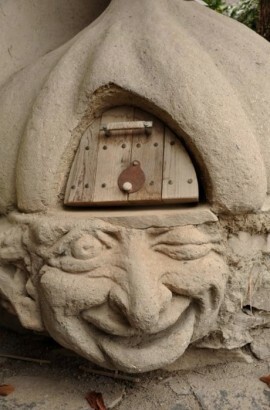 This one both amuses me and scares me. It’s a little weird, but at the same time, playful. Make up your own mind about it. 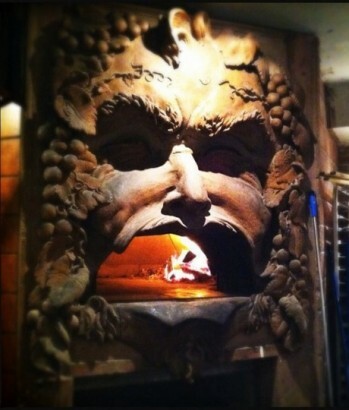 This pizza oven can be found in the Bacchus restaurant in Troy, New York. 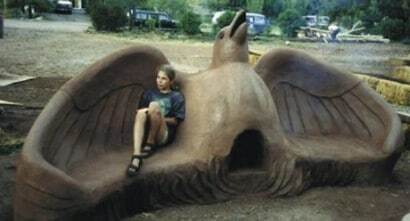 Of course, it’s indoors and huge – neither one of which may be practical for you, but still a good example of what can be done with money and creativity. 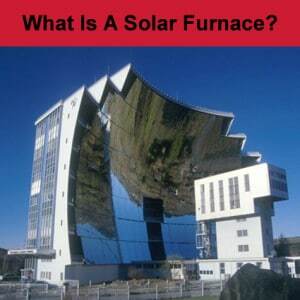 This one is probably not built from cob, but some other material that holds up well with the constant heating during business hours and then cooling overnight. This one is also funny to me. 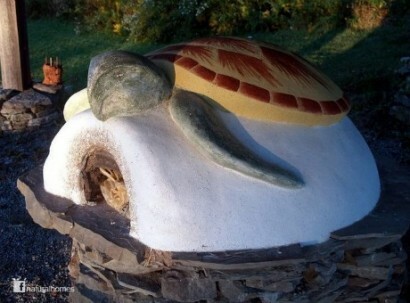 It shows creativity and shows that even a simple design can make a pizza oven stand out. 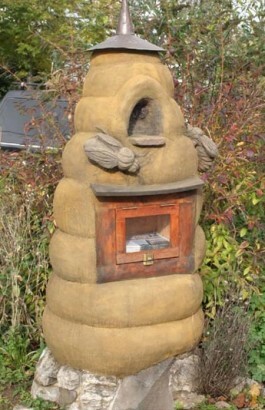 This one is actually a newspaper dispenser, although it would be a great idea for a tall version of a pizza oven. The top cubbyhole could be for tinder and the venting could be done through the very top. 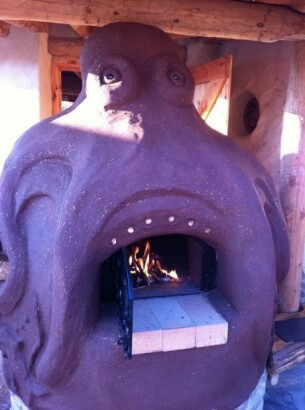 The smoke actually vents out the ears on this oven. There is also lots of room for tinder and small fire branches in the base of the oven, which is handy. 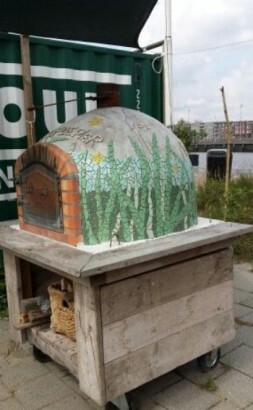 The core of this pizza oven is brick and the build has used cob to create a design on the outside of the brick. 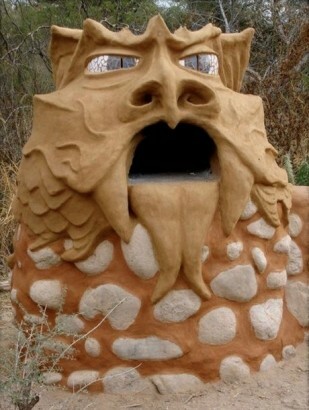 It’s a pretty spectacular way to add an artistic design to an oven. 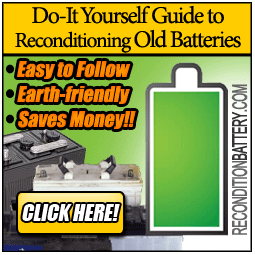 This one is pretty popular on Pinterest – with good reason. 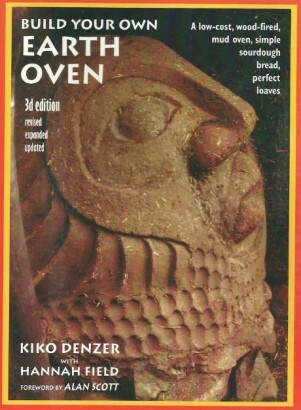 This design is from Kiko Denzer, who literally wrote the book on building cob ovens. 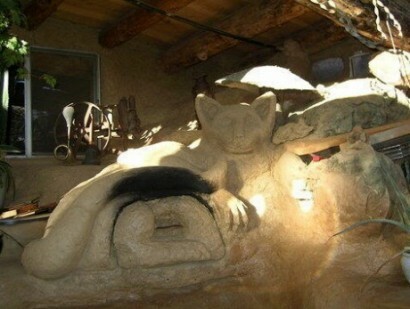 Cob is a building medium that has been used in much of the world for centuries. In the United States, cob was used by very few people. 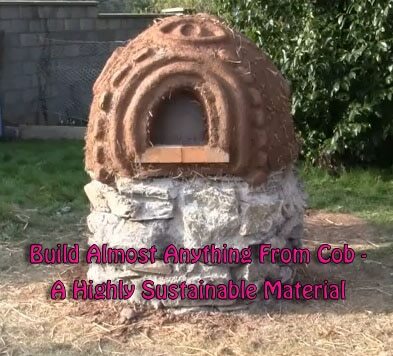 Now, the use of cob as a building medium is exploding – mostly thanks to this book.